What Happens in Detox Treatment? Methadone withdrawal can be a difficult, drawn-out experience. But you do not need to go through withdrawal alone. How long methadone withdrawal takes. Side effects of methadone withdrawal. Who Answers? to get help finding a methadone detox center or recovery program near you. A recovery support specialist can verify your insurance coverage and treatment options over the phone. Methadone is a synthetic opioid medication. It is prescribed to help treat serious opioid addictions – such as those to heroin – or, in some cases, to manage chronic pain.1 Methadone comes in the form of an injection, oral solution, pill, liquid or tablet you place under your tongue. Prescription names include Dolophine and Methadose. Compared with other shorter-acting opioid medications such as morphine or oxycodone, methadone is long-acting, metabolized relatively slowly and maintained in the body for longer periods of time. It affects the brain and spinal cord for 8 hours to 12 hours. 1 Though it is not as strong as some of the other abused opioids, you can still easily become physically and psychologically addicted to methadone if you use it without the supervision of a healthcare provider. You may experience cravings, nausea, headache and lack of appetite. Psychological symptoms such as anxiety, dysphoria and irritability. While withdrawal from methadone is rarely life-threatening, if you have any medical conditions – such as a heart, liver or seizure condition – you should never detox alone.4 Even without other medical conditions, methadone withdrawal can be scary and painful, putting you at risk for relapse. Further, as your body rids itself of methadone, you may experience feelings of depression or anxiety, which are difficult to manage alone.4 If you have thoughts of suicide, you should tell someone immediately. Seeking medically supervised detox will help ensure your safety, comfort and success. Detoxing is the process of ridding your body of harmful substances and overcoming a physical addiction to a certain drug. 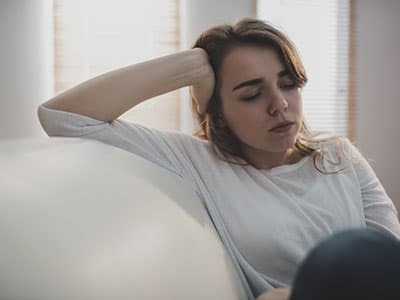 Whether it is administered via a structured detox center or done at home, technically everyone must complete a period of detox as a first step on the path to recovery. Professional detoxing occurs under the supervision of a healthcare provider and typically involves supportive treatment to minimize withdrawal symptoms.4 These programs are available in a variety of settings including standalone detox centers, inpatient treatment, partial hospitalization and outpatient treatment. 3 You and your healthcare provider will decide what is best for you. A standalone detox center is a facility that specializes in providing treatment for people who are withdrawing from different substances. You will receive supportive care, including medications and any necessary medical care. You’ll be closely monitored throughout the process to make sure there are no complications. The center may have therapists or counselors as well to provide addiction counseling and recovery guidance. You remain in the facility until the detox process is complete, and the staff may recommend you transition to a formal inpatient or outpatient addiction treatment program when you discharge. Does the facility allow smoking? Can you bring your phone or laptop? Can the center accommodate any dietary needs you have? Who Answers? . They can confirm your insurance and offer detox and rehab options based on your coverage. 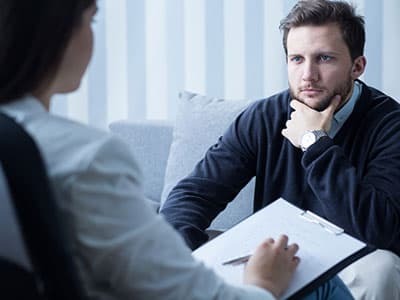 Upon entering a methadone detox program, you will be evaluated by an addiction treatment professional who will help establish your diagnosis and treatment plan. Be honest about your consumption history so that the best detox regimen can be created for you. The staff will create a detoxification plan for you. This plan may include tapering a methadone dose along with supportive medications to manage withdrawal symptoms.4 For example, clonidine is often prescribed to manage the anxiety, high blood pressure, sweating and restlessness that often occur during the withdrawal period.4 You may be encouraged to drink lots of water to prevent dehydration as well. When you complete the detox process, your provider may encourage you to continue substance abuse treatment in an inpatient or outpatient setting to deal with the root causes of your methadone addiction. The next steps are counseling, 12-step meetings or a residential program. Detoxing is designed to help you overcome the initial hurdle of withdrawal. Detox treatment helps to manage the physical addiction to methadone but not necessarily the psychological addiction. For this reason, the next steps on your road to recovery are psychosocial interventions such as individual counseling or a 12-step program.6 To support their early recovery, and encourage prolonged abstinence, some people may also choose to attend a residential program for a few months. Overcome feelings of guilt and loneliness. Many therapeutic approaches can be used to address methadone addiction. Popular forms of treatment include cognitive behavioral therapy and motivational interviewing. 6 These therapies usually occur in a one-on-one setting with a trained counselor such as a nurse, social worker, or psychologist. Twelve-step programs such as Narcotics Anonymous offer social support. These programs believe that treatment should be a combination of behavioral, spiritual and cognitive interventions. Participants are encouraged to find a program sponsor as they begin to work through the 12 steps of recovery, which include admitting powerlessness over your addiction and making amends to people you harmed during active addiction. Detoxing from methadone is rarely life-threatening, but it can be extremely uncomfortable. The unpleasant experience can be difficult to bear, and often leads to relapse. Some attempt to manage the symptoms of withdrawal with over-the-counter medication such as anti-diarrheal and mild analgesic agents. When you are at the pharmacy, you can ask the pharmacist or technicians to recommend medications for whatever troublesome symptoms you may be experiencing. The withdrawal process can also leave you undernourished and dehydrated, so it will be important to drink as much water as possible and eat any light, but healthy foods that you are able to tolerate. The best course of action is to seek professional medical help.Your detox team will ensure your comfort and well-being throughout the process. Methadone withdrawal is typically not life-threatening. However, it can be extremely uncomfortable with symptoms such as anxiety, diarrhea, abdominal cramping and vomiting beginning 36 hours after use. You may become dehydrated, which can require medical attention. If you have any additional medical conditions such as heart disease, liver disease or a seizure disorder, you should never go through withdrawal alone. What Is the Best Way to Detox Off a High Dose of Methadone? Inpatient detox programs are the most effective and safest way to detox off methadone. These programs offer 24-hour care, and they are staffed with professionals who will create the best detox plan for you. Methadone addiction can be an escalating problem with serious consequences. The most important action you can take is to seek treatment. If you or someone you know needs more information about methadone detox centers, please call us toll-free, 24 hours a day at 1-888-319-2606 Who Answers? .
. Chisholm-Burns, S. Schwinghammer, T. Wells, B., Malone, P., & DiPiro, J. (2013). Pharmacotherapy principles and practice (3rd ed.). New York, NY: McGraw-Hill Medical.
. Drug enforcement Administration. (2014).